The Floral Business Practices section of the Day Course covers such topics as Management, Merchandising, Floriculture and Floral Background. It is very practical for folks wanting to make money in the floral field. However, we have found that enthusiasts: people who enjoy flowers and floral art are fascinated with this segment of the course. 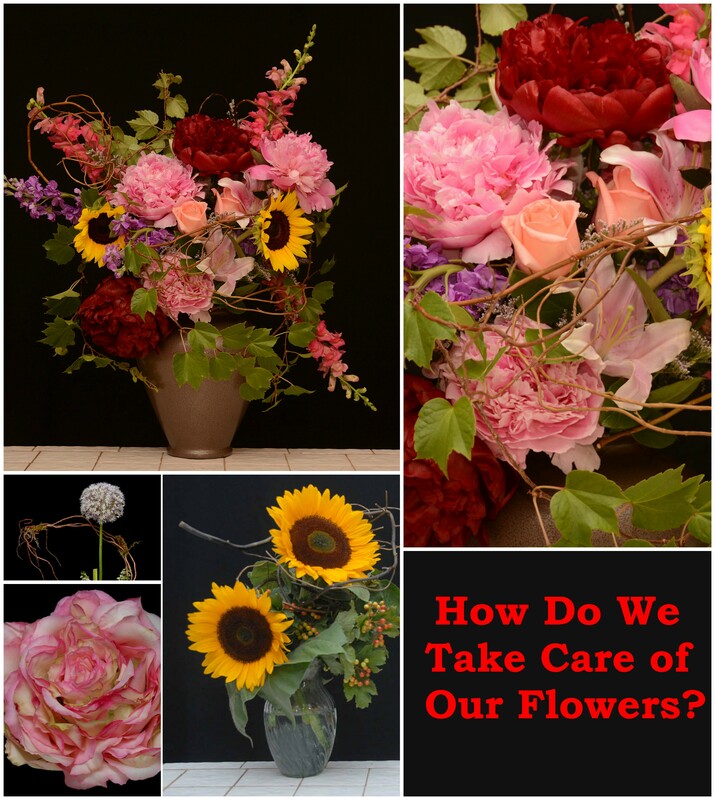 It provides all kinds of interesting information about a range of perspectives about what it means to be a floral artist. The instruction is fun and entertaining whether you plan to use it for money making purposes or not! 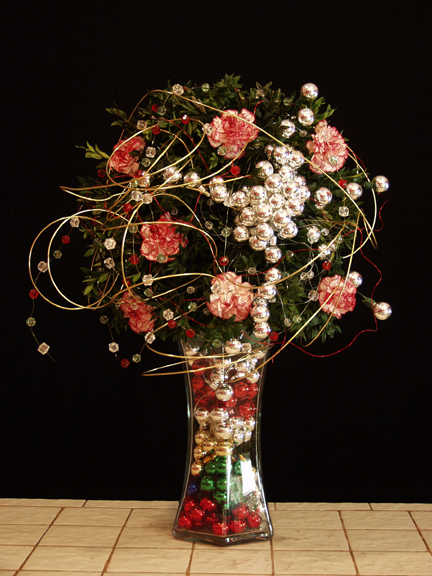 When you learn professional floral design techniques you become a floral designer, but it is only when you know how to profitably market your floral art that you become a professional! The knowledge presented in this segment of our day program is important for the designer who hopes to profit from his/her design talents. Enthusiasts find this segment a fascinating look at a variety of topics relating to flowers & their art. In other words this segment of the course is not only informative, but it's fun as well. We realize that some folks taking our Day Course plan to open their own flower shops. Some plan to work in a flower shop. 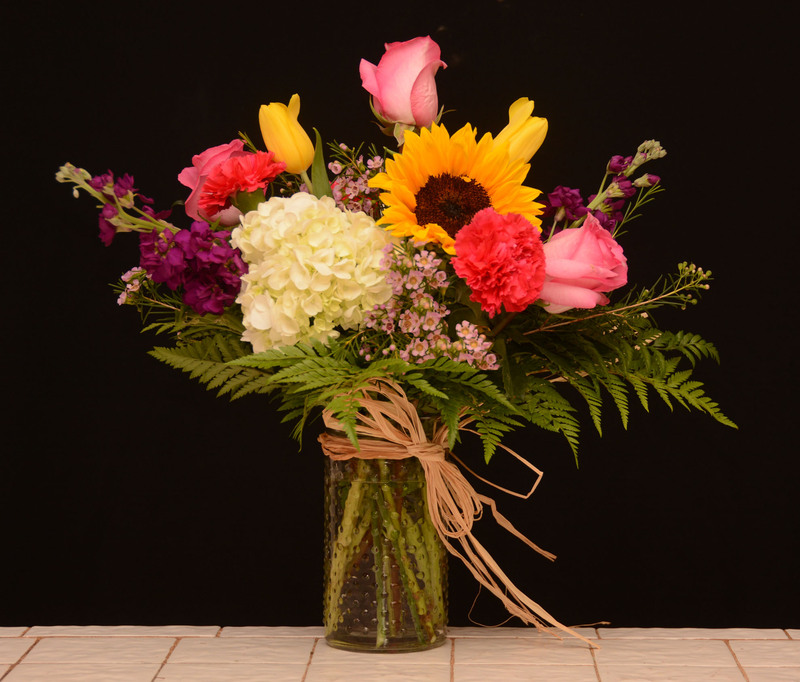 Some students taking the course are already running a business in an allied field, and they intend to integrate floral art skills into what they are already doing. Still others are planning to run nontraditional "By Appointment" "Loft" or "Home Based" kind of businesses. Regardless of your ultimate goal, you will find this segment of the course to be informative as well as entertaining! Management covers such subjects as locating and purchasing flower shops, flower shop layout, interior visual merchandising, home based floral businesses, store equipment, flower shop supplies, buying flowers, naming a flower shop, business principles and organization, credit and collection, shop procedures and policy, delivery, telegraphing of flowers, ethics, floral organization and pricing methodology. 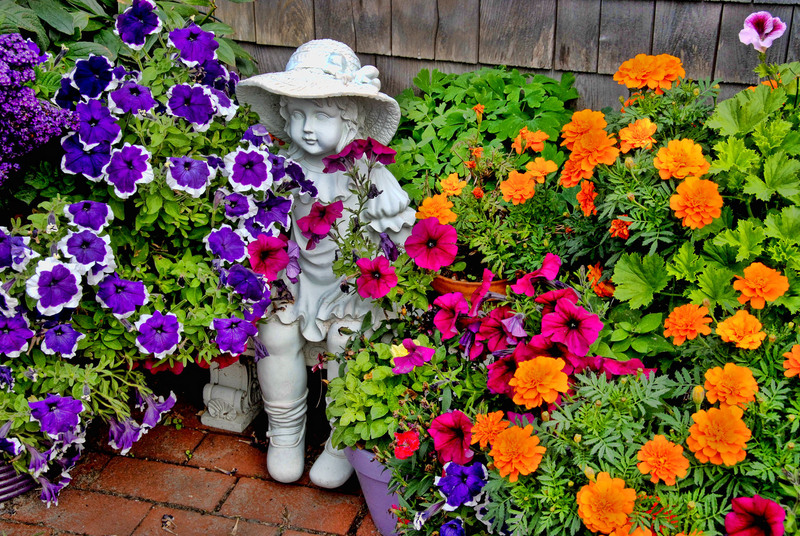 Merchandising includes such areas as salesmanship, sympathy flower psychology & sales, telephone sales, advertising & promoting your floral business, marketing, window display, euro & mass merchandising. Knowledge in these areas is definitely needed if you want to make money!!! 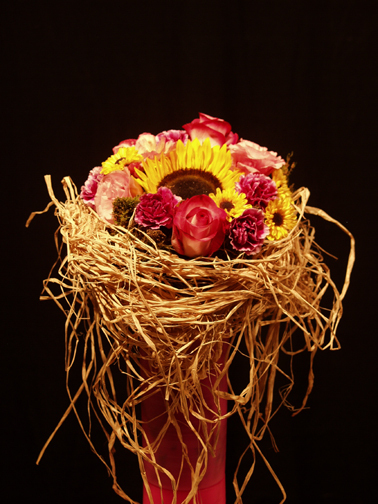 Floral designing is an art form that utilizes live and preserved floral media, so it is important to know all about the care & handling of flowers. 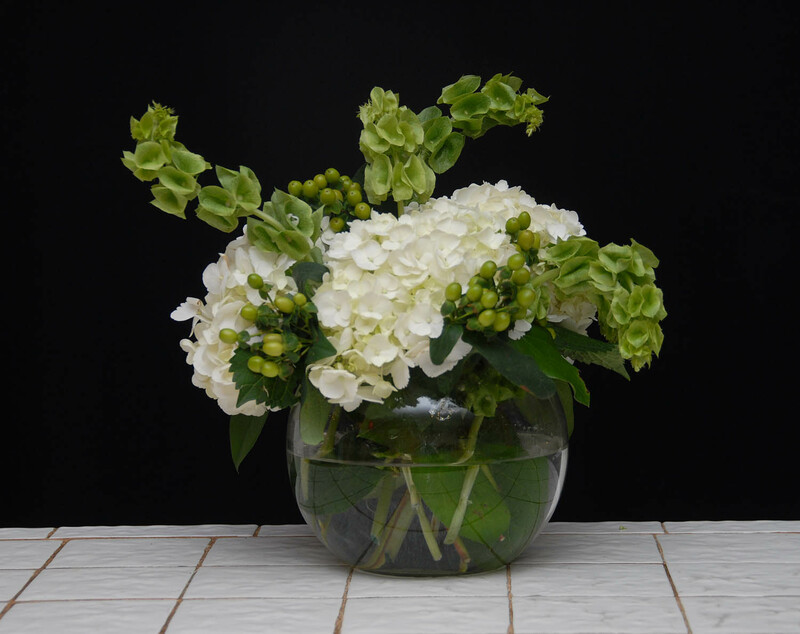 In our Day Course we go into great detail about the care & handling of such things as roses, Holland flowers, design greens, orchids, workhorse flowers, & other floral products. Knowledge of the history, legend and lore about various floral products is an important way to facilitate the sales process. Floral Background covers some really neat subjects. How to go about selling a wedding, allied items sold in flower shops, floral occasions and preparing for flower holidays, color and design theory, and floral industry trends are but some of the subjects covered in this part of our course. As you can see, we cover an enormous amount of material in the Business Section of the course. Every Industry has its own very specific peculiarities and idiosyncrasies. The floral field is no exception. The information in the Business Section of the Day Course gives the students a very unique view of the inner workings of the floral field, and how to best exploit it for profit. The ultimate compliment that we get is that students often comment that they found the business section of the course to be a terrific complement to the design part of the program, and a fascinating and fun discussion of many questions that they were really wondering about right from the offset. Even students taking the course for cultural enrichment and fun, have been impressed with how lively and interesting this part of the course is! The typical comment... "It's school, but it doesn't feel like school.... It's actually fun!" 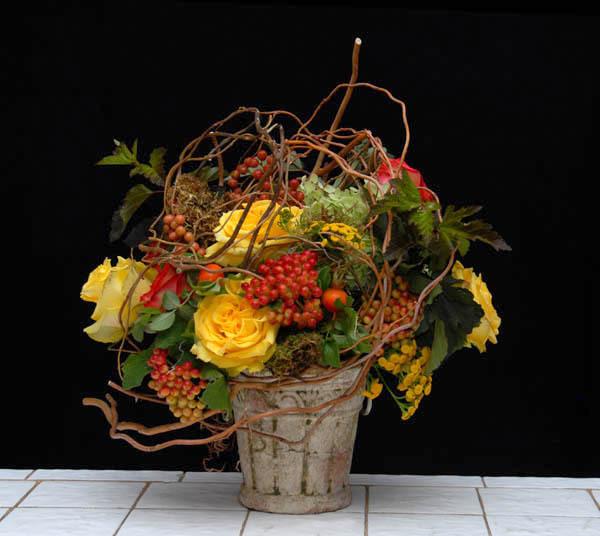 Day Class-Floral Design returns you to the first segment of our Day Class.